Why is Pre, Peri, and Post Natal Massage Important? As a Massage Therapist we have the opportunity to help educate, facilitate, and empower women from planning on starting a family all the way through to postpartum. Although Massage is essential during your pregnancy months, it is just as important before you conceive and after you deliver. Making sure your body is in the best possible place to carry a child is something Massage Therapy can make a substantial impact with, and after birth Massage Sessions can be a place to take some "me" time, reconnect with your body, and appreciate the miracle you just received. Receiving Post Natal care can help guide the uterus back to it's pre pregnancy position, the ability to recover physically and emotionally from labor, exhaustion, pelvic ligament and joint strain, and even epidural issues such as backache and headaches. Stress is the biggest concern from perinatal to postpartum. Stress activates the sympathetic nervous system (fight or flight) and increased adrenal stress hormone production, which can create hormonal imbalances in the body and also decreases blood flow to your female organs which can have negative impacts on trying to conceive, development of the fetus, and healing after your birth. Supporting the immune system and decreasing stress is essential, decreasing worry and anxiety can make all the difference in you having a successful experience, and Massage Therapy can be there to assist in all of those things! When you come in for your Massage Session we will do a complete health history and make sure there are no special circumstances for your care. Depending on how advanced you are into your term we may have special positioning and bolstering techniques to make you feel safe and comfortable. Normal recommendation is weekly through pregnancy, but even once per month can be a substantial help to your overall wellbeing. When a Massage Therapist is trained in Prenatal Massage, they don't just receive Massage Training. LMT's may be a wealth of knowledge with comfort positioning, birthing, stretching, home care, and other useful information about contraindications are just a sampling of knowledge they are educated in. At Unlocking The Body, Janelle Wise has gone through an extensive course in Prenatal Massage and she is very passionate about working with Mom's at any stage of the process. Bethany Erickson, Anne Schiele, Jason Priest, Allyson Goldsberry, Deletha Wright, and Alexandra Carvalho also have training in Pregnancy work as well. Feel free to email any questions to the Massage Therapist or call our front office at 253-970-8256 to get scheduled for your session today, and remember there is no extra charge for Prenatal Massage here at UTB! Go to a trained Prenatal Massage Practitioner. Be aware of body posture while receiving your massage. Any position sitting or lying which causes pain should be avoided. Let your Therapist know immediately. Wear Yoga pants or sweats just in case your Therapist wants to do mild stretching. You will still dress down for your massage but as you progress it becomes better to get dressed at the end of the session and finish up with mild stretching with clothes on so you don't feel exposed. 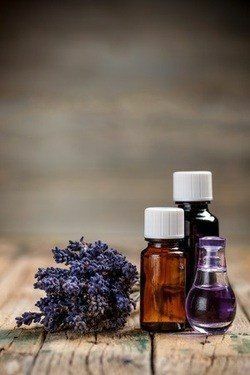 Stick to Lavender, Peppermint (after 1st Trimester), and Eucalyptus for Aromatherapy in Massage sessions. You don't know the quality or contents of other's essential oils and these are the safest for most expectant mothers. Aromatherapy can actually help with Nausea, swelling, and aches. Consult someone who has Aromatherapy Certification for specifics on what essential oils are appropriate for your specific case. Try to close your eyes and breathe. Don't think about your to do list the whole Massage! Closing your eyes helps reduce stimulus and keeps your nervous system from entering a more stressed state. Go to the bathroom right before and right after your session. We all know how small bladders can seem when someone is kicking down every two minutes! Don't do a ton of intense pelvis/hip/low back stretching in the last trimester. Things get so relaxed and loose, too much hip stretching can really get things wobbly! We Look Forward To Assisting You in Your Healing.